Philip Rivers did not travel to Canton for the Hall of Fame enshrinement ceremony, but he did still offer a message for LaDainian Tomlinson. Some controversy came this week when it was reported Los Angeles Chargers head coach Anthony Lynn would not allow Philip Rivers and Antonio Gates to attend the Hall of Fame enshrinement of former teammate LaDainian Tomlinson. Lynn has denied that he levied that ridiculous mandate, which is not surprising at all, and Gates traveled to Canton for Saturday night’s ceremony while Rivers did not. Rivers played six seasons with Tomlinson, including four as the Chargers starting quarterback (2006-2009), while Gates played with Tomlinson season longer (2003-2009). Rivers chose to be present for the Chargers’ scrimmage against the Rams on Saturday, but Tomlinson was clearly still in his thoughts. Rivers went back to San Diego and Qualcomm Stadium to film his message to Tomlinson, which is a nice touch. He also talked about his view of Tomlinson’s exploits, with a “best seat in the house” sentiment and a nod to when Tomlinson broke the single-season touchdown record in 2006. Rivers is perhaps on a Hall of Fame career track himself, at age 35 (36 in December). 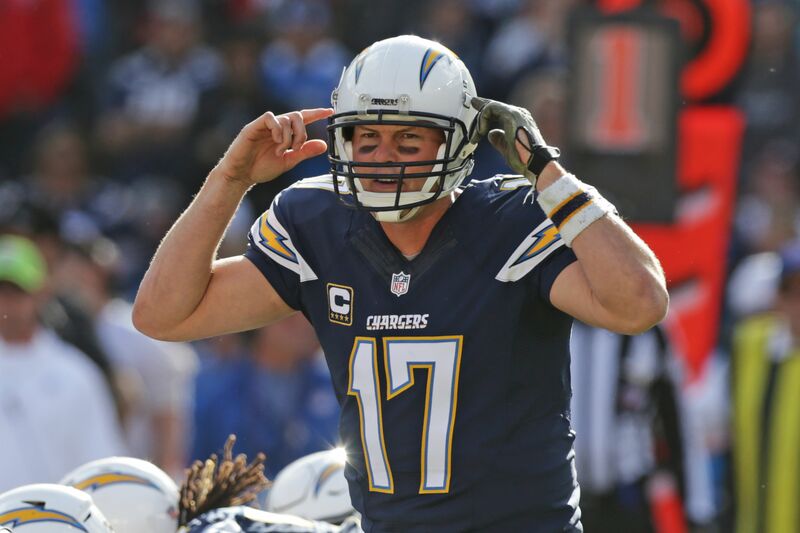 He is close to 46,000 career passing yards (45,833) with 314 touchdowns passes heading into his 12th season as the Chargers’ starting quarterback and his 14th season in the NFL. But he is, of course, missing a Super Bowl ring and that will be the ongoing black mark on his Hall of Fame resume until further notice. But having a career that mostly ran parallel to Tom Brady and Peyton Manning in the AFC should give Rivers some leeway with the Hall of Fame committee. When Tomlinson speaks to the crowd in Canton, Rivers will surely be on his list of people to acknowledge as he stands next to his Hall of fame bust.